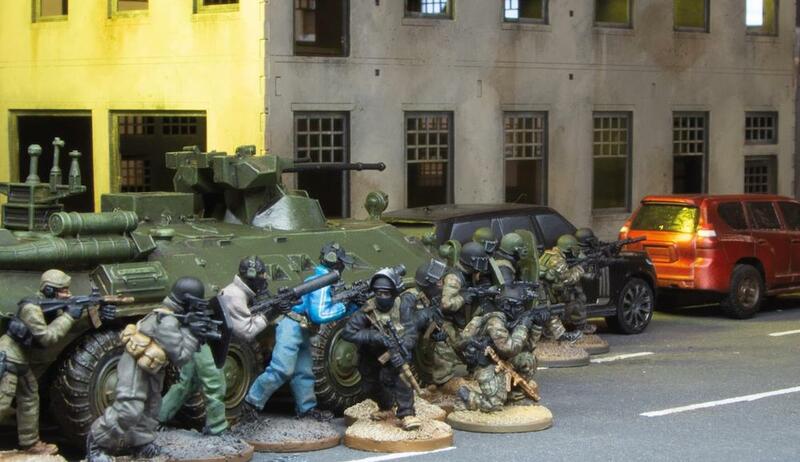 Spectre Miniatures veröffentlicht den BTR-82A APC. The BTR-82A is the Russian replacement for the BTR-80 series of armoured personnel carriers and has 3 crew and a capacity of seven troops. Upgrades include a new turret with a 30mm dual-feed automatic cannon, firing armour piercing-tracer, high-explosive fragmentation-incendiary and high-explosive-tracer ammunition and has a 7.62mm PKTM coaxial machine gun. The turret is stabilized and has three forward-facing 81mm smoke grenade launchers on each side and has modern night vision and surveillance cameras for 24-hour operations. The hull is now multi-layer laminate with Kevlar to improve survivability against direct-fire, artillery splinters, mines and IEDs. The vehicle is fitted with a CBRN system and is fully amphibious using a water jet system. This version has an optional counter-IED jammer antenna system. This vehicle is used as transportation and fire support for Russian ground troops, including special forces units such as FSB and Spetsnaz where fast ground speed, good surveillance systems and potent firepower would be a major asset. 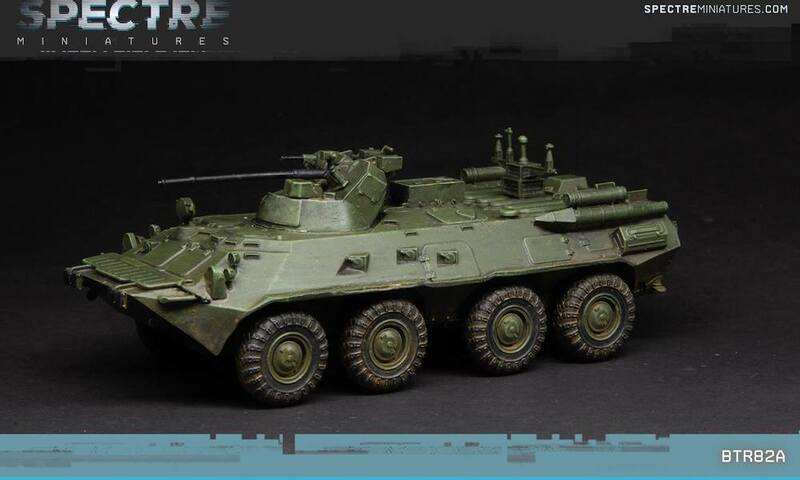 The BTR-82A is likely to see further use with Russian units as well as Russian-allied countries across the world. It is ideal for a variety of urban and rural scenarios in Spectre: Operations.